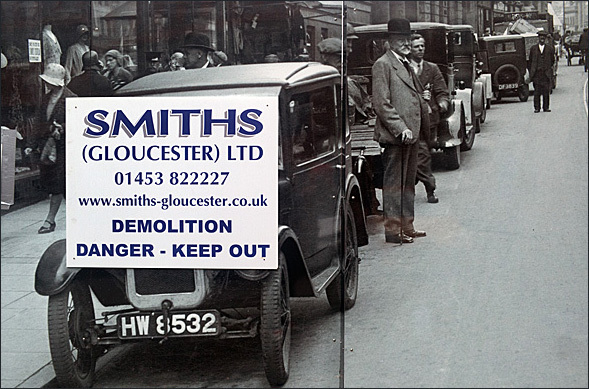 This is the story of how a building site helped me discover a new way of seeing how times past relate to life today and how our present shapes our future, literally ! On first inspection this photographic series might appear to be the product of digital jiggery- pokery , however , the collisions of time & coincidence seen here are created by a unlikely serendipitous visual reality, which is a bi-product of numerous mundane parking, security and public safety requirements ! All of the views here are as found and captured without my intervention. 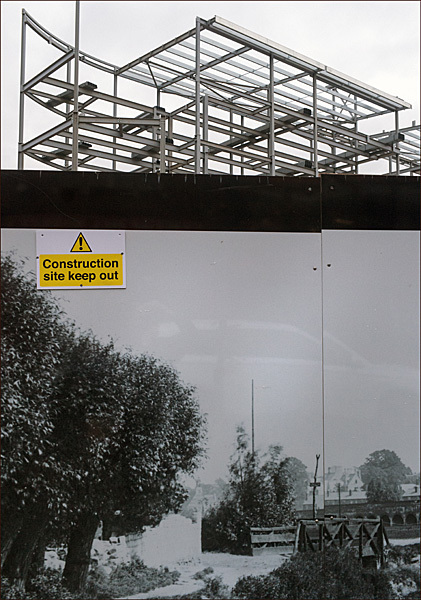 These simple photographs show how a unremarkable demolition / construction site became the subject of my photographic attentions for more than a year due to the way a historically themed fence appeared to evolve and juxtapose with life today. The more I looked at the historic photographic representations on this perimeter fence the more I noticed the surprising visual insights and contrasts that existed between modernity and this nostalgic backdrop. 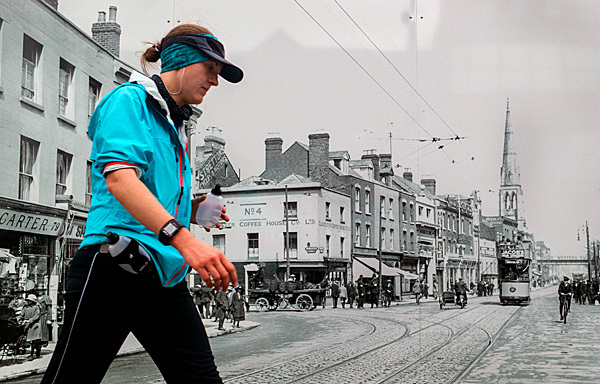 The story starts in November 2016 when I capture a image of a modern hi-tech jogger running past what was then a demolition site, at first glance the runner appears to be in a a 100 year old street scene. This image was the first image that suggested a form of visual time travel to me that was worthy of further investigation ! Following this capture I revisited the site over the following year, at first I thought these images were a bit of fun, but eventually it dawned on me that these images were offering interesting elements of wit and social comment. I adopted this location as part of my Street Photography route but did not plan for these individual captures to be seen as a series , I just thought that this location could throw up some interesting interactions. I got drawn into how the saturated high visibility of the 21st century looked displaced against the nostalgic monochromatic streets of earlier times. . 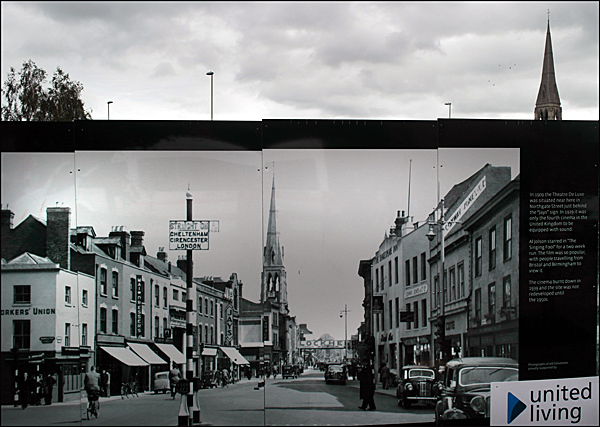 This unique perspective shows how a small part of a evolving British city can reveal a unexpected narrative of how the scenes from the past maintain a surprising connection with life today ! The past was once someones future !